Here at Sunshine Swim & Fitness Center, we believe drowning’s are 100% preventable. Supervision is key when children are around any body of water. Our infant swim lessons work towards teaching your child water safety survival skills, but should never be a replacement for adult supervision. We use a gentle, fun loving approach to help your swimmer feel safe and comfortable in the water as they learn lifesaving skills. Our infant programs are meant for swimmers under the age of three. A parent tot/parent participation program; group class with several families. A private swim lesson program; infant work one- on- one with an instructor. 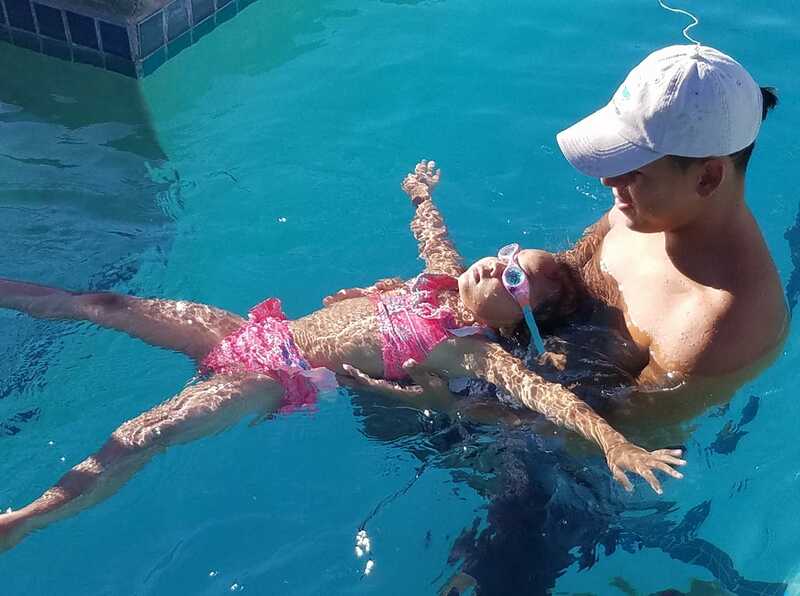 Our Parent Tot Program, for children 6 months to 3 years old, will progress your baby from learning to be comfortable in the water to advanced water safety skills such as; floating, kicking and rolling onto their back after falling into the water. 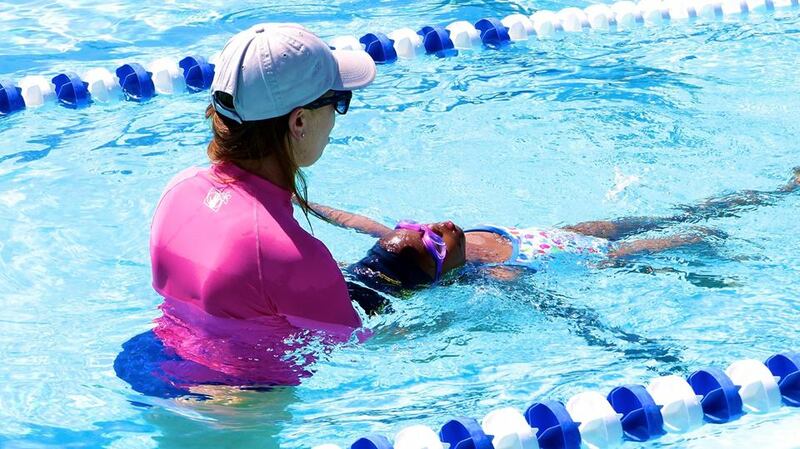 An instructor will work alongside you and your swimmer to guide your child through the various safety skills. Practice and repetition are key to your child’s progress, it’s important to remember, each child is unique and will advance at their own pace. These classes are a great way to bond with your child, you’ll sing songs, play games and share in memorable moments. Our Parent Tot Program runs from May to September. Classes are 25 minutes long. 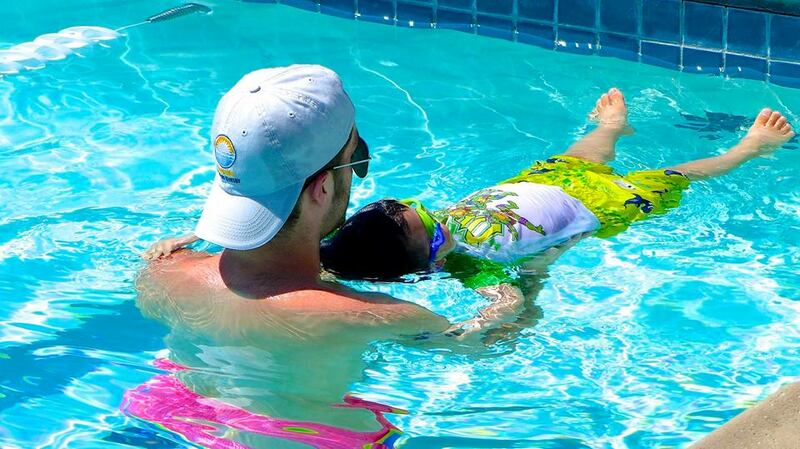 Our private infant swim lessons offer one-on-one attention for your little swimmer. The instructor will work with your child on skills such as; floating, kicking, blowing bubbles, rolling on to their back, and holding onto the wall. Each lesson is 25 minutes long. Repetition is important when teaching infants to swim; as with learning any new skill, sitting up, crawling, walking… Practicing a little each day or every few days helps to build a strong foundation for these new skills.